Proud New Owners of Bayswater Property. 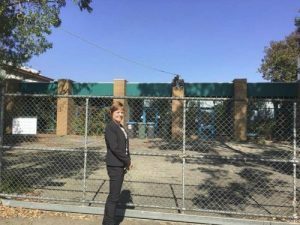 Judy Line, CEO, standing in front of Women’s Housing Ltd’s next planned development opportunity! On 3 August 2016, Danny Pearson Member for Essendon visited Ascot Vale rooming house to announce the re-development. This project will convert the facility from 14 bedrooms with communal facilities into 16 one bedroom self-contained apartments and will enable the residents to have their own privacy. It will also provide a modern and clean environment in which to live. 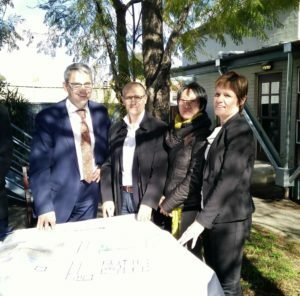 On 19 March 2018 Women’s Housing Ltd’s Newport development was officially opened by The Hon. Marlene Kairouz MP, Minister for Consumer Affairs, Gaming and Liquor Regulation. Wade Noonan MP, State Member for Williamstown also attended the opening. This project was designed to deliver more affordable, long-term housing to women at risk of homelessness. 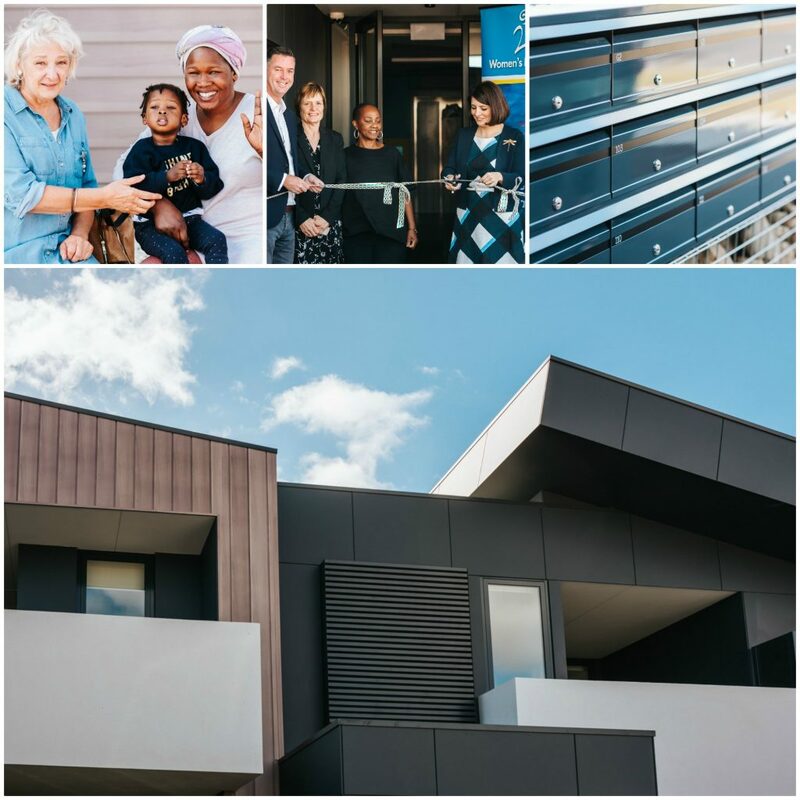 Located close to public transport, local shops and parklands, the development includes 20 new one and two bedroom dwellings for women and children, many of whom are escaping family violence. The design by award-winning architectural practice, ClarkeHopkinsClarke and built by Buildcorp, prioritises the safety of tenants, while ensuring the apartments have the look and feel of a traditional residential home. Additional features include car parking, terraces and a number of apartments that have been designed to support ageing in place, reflecting the growing number of elderly women in housing crisis. The project was funded by a $5.5m grant from the Victorian Property Fund.